Mercia 7 x 7 Traditional Shiplap Summerhouse: The Mercia traditional summerhouse features a beautiful beach hut style wooden garden building with veranda. 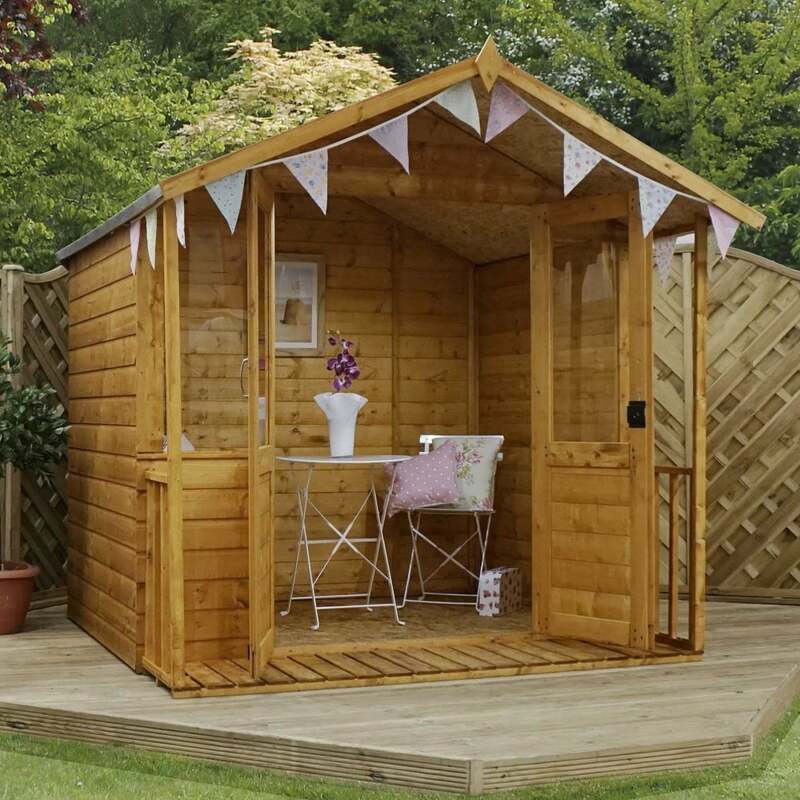 The 7 x 7 Mercia summerhouse is built from 12mm shiplap cladding, 8mm solid sheet roof and 10mm solid sheet floor for an overall sturdy structure with 28 x 28mm internal framing for added support. The Mercia outdoor building features a spacious veranda and half glazed double doors to provide a light and well ventilated atmosphere. The classic summerhouse includes environmentally friendly styrene glazed windows which is a safer alternative to traditional glass but still provides natural light. The shiplap summerhouse is delivered flat packed for easy self assembly.